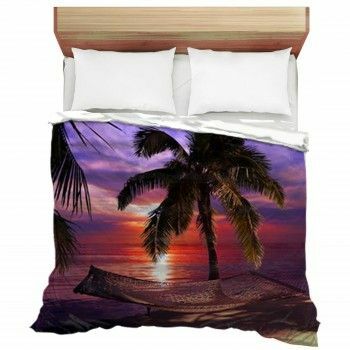 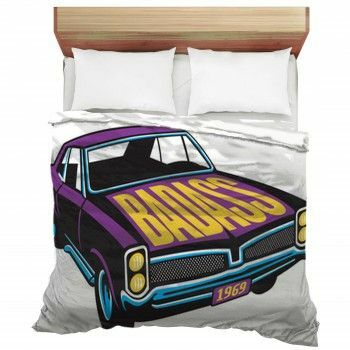 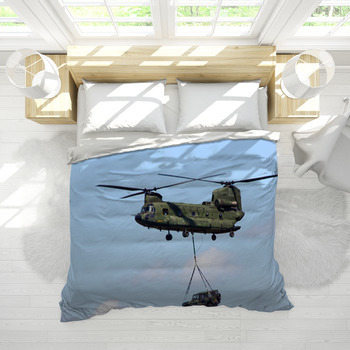 Helicopter bedding is a prime choice for accumulating a uniquely stylish bedroom decor. 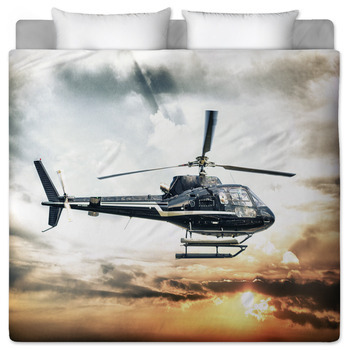 With its versatility, speed and presence, it is no wonder why people are fascinated by helicopters. 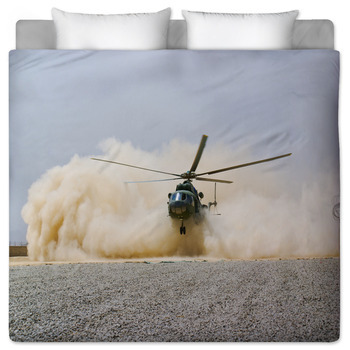 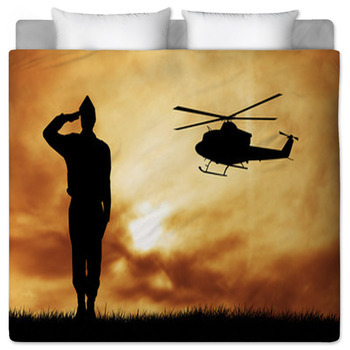 Helicopter fanatics cant wait to get their hands on their very own personalized comforters or duvet covers and bring home the fun and excitement. 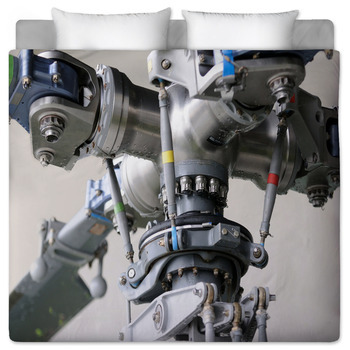 Custom bedding is the best way to show off your passion for vertical takeoff and landing. 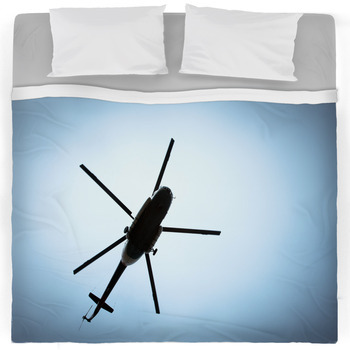 Browse through our helicopter bedding designs to find the perfect design to fit your bedroom. 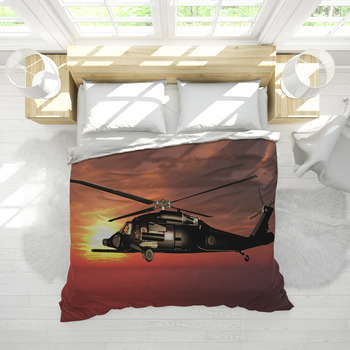 Its really up to you whether you choose an image of a real helicopter model that you like or a cool computer rendering. 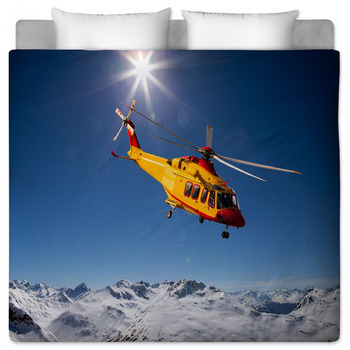 Get your very own personalized helicopter duvet cover or comforter by including your name with your chosen design. 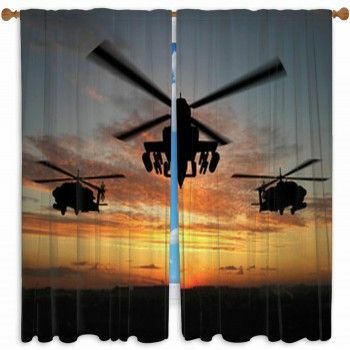 But if you really want to have one of a kind decor, go all the way and add a helicopter themed shower curtain as well. 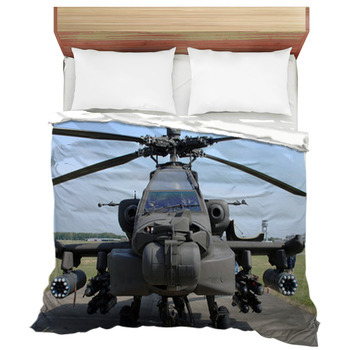 Your unique helicopter bedding is sure to draw an awe inspiring crowd full of friends and family. 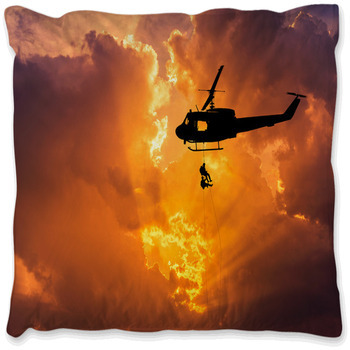 From Hueys to Apaches, no two helicopter designs could ever compete with these photo realistic designs. 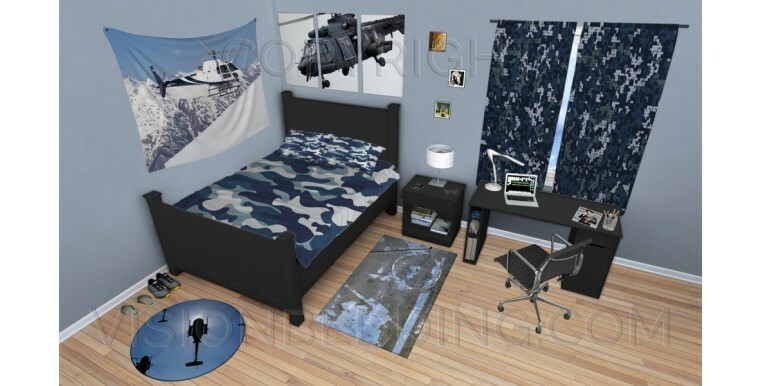 Start your own air show today with a helicopter themed bedroom of your very own.